More Tips for the Adventurer in You! Hey there, Everypony. Sandy Rivers here, professional map-maker and owner of Rivers Cartography, to tell you what you need to know to survive in that crazy, mixed-up world we live in! We're well into the winter months now and I'm sure you've made sure to stay warm and cozy for the season. After all, you wouldn't want to be out there during this time of year. Snow cover can turn an easy walk into a treacherous hike, make a clear path impassable and transform a lake into a deadly trap! Uncharted territory is the last place you want to be when there's snow and ice. Of course, I'm sure all you smart adventurers know that already and have hunkered down until the spring thaw but lets face it, staying cooped up is the last place a wandering pony like yourself wants to be so here's a few hints and tips to stave off cabin fever! Will open February 6, 2012. 1. I've Just Seen A Face (Help! ): Shortly after their first meeting. 2. It Won't Be Long (With The Beatles): Sung in chat after he received a letter from her explaining when she'll be home from vacation. This is where Orion, Raven, Melody, and their various housemates all live. (See Orion's profile for who exactly lives there.) The house is an exact replica of the Brownmane family home in Trottingham. A strange structure has reappeared on the edge of the Everfree Forest in the Wilds, not far from the Froggy Bottom Bog! Unknown to all but the most knowledgeable ponies, the house has always been there. It was built long ago by a wealthy family drawn to the area by the prosperity of the little town of Ponyville. The family lived there for generations, and became quite wealthy. A few decades ago they moved to Canterlot and left their old homestead mansion abandoned. It was reclaimed by the Everfree Forest and vanished from the memories of all but the oldest town residents. The Clover Hills Apiary will soon be re-opening! Once Winter Wrap-Up is... well... wrapped up, the Honey Family will be hard at work seeding the fields, setting up the hive boxes, cleaning the production barn, and bringing the swarms back to town! Once production is back into full swing, the Honey Family will open their new store, located on-site in the big beehive-shaped building. Come on by and enjoy some free samples! 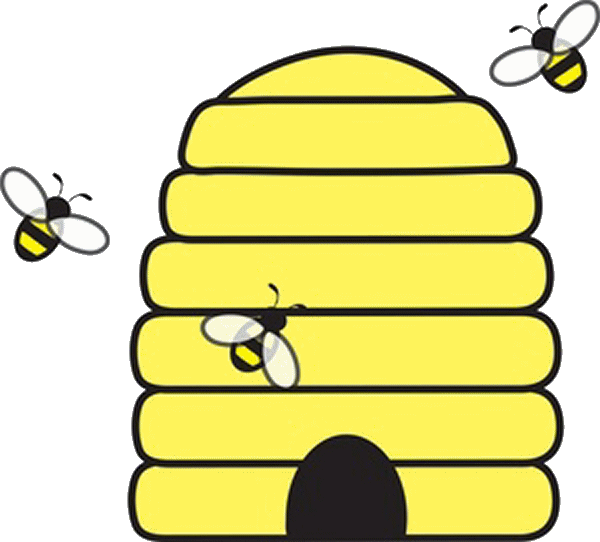 We sell honey, honey sticks, honey sweets, honey buns, and bees' wax. Of course, no listing of our inventory would be complete without mentioning our baklava, the specialty of our very own Honeybun. We'll also re-open our cart stand in the Ponyville market for everypony's convenience. The Clover Hills south of Ponyville will once again be open for picnics, grazing, star-gazing, and parties. All we ask is that you respect the bees and don't eat or damage too much of the clover. They need those clover flowers to produce the best honey this size of Canterlot! The Clover Hills Apiary is a small-time beekeeping and honey-producing operation. 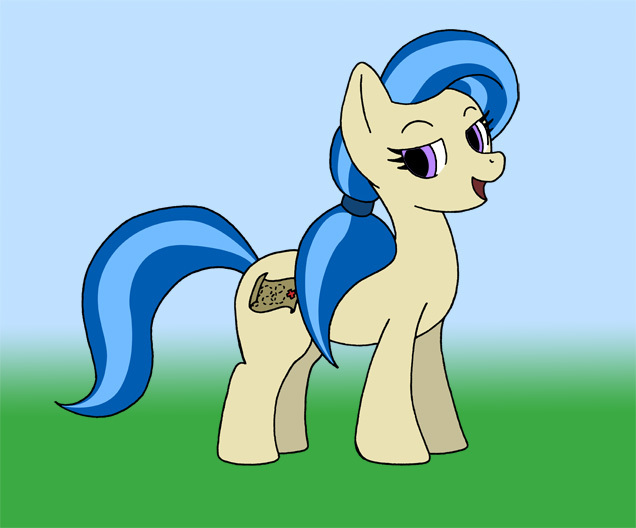 Operated by the Honey Family, Clover Hills provides honey, honey products, beeswax for candles and scroll seals, and pollination services for the many farms and orchards in the Ponyville area. Just a small community I happened to stumble on. 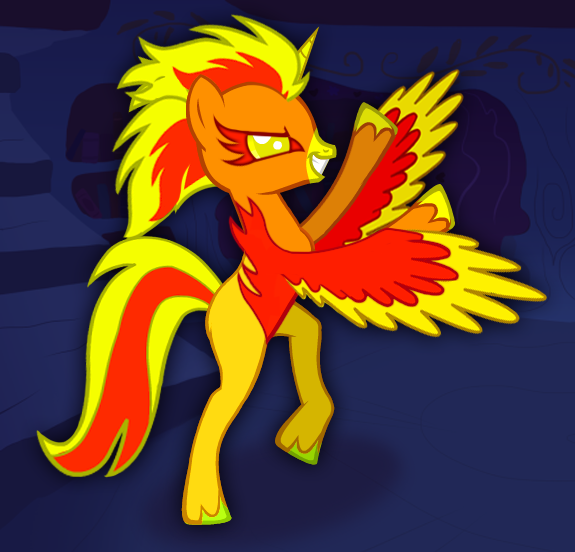 I think that if other bronies win, so do we, so feel free to check them out and say you were sent by way of Filly. Delphia that is. "Greetings ponies of Ponyville! We at Time Family Time Works of Hoofington are pleased to announce that we are now opening a store in Ponyville, headed by our own Jacklyn Time. 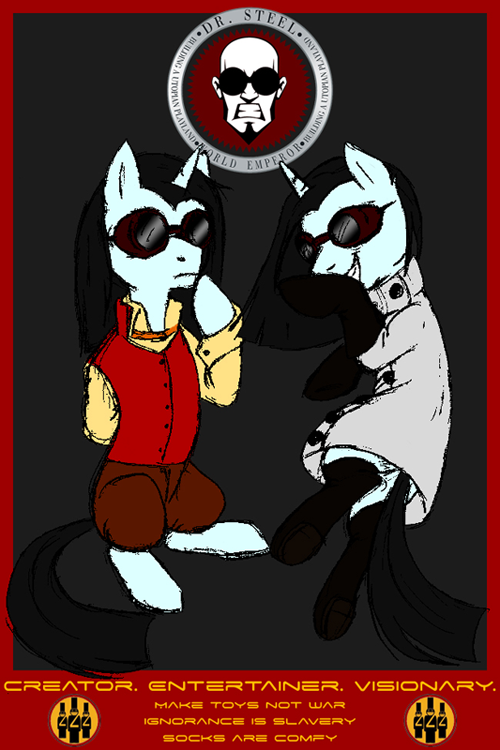 We specialize in the finest timepieces in Equestria, quality guaranteed, you will not find timepieces! In addition to our own in house models, we specialize in custom orders and delivery right to your front doorstep, and if it arrives damaged we will give you your money back as well as repair it free of harge! So please, feel free to pay us a visit upon our grand opening!" Location: In The Library area. The Ponyville branch of the famous Time Family Time Works shop, it is a store specializing in the making of, repairing, and delivering clocks to its patrons. In addition to the selling of clocks displayed inside, it also handles custom orders and deliveries. This is a shout-out to Fillydelphia Radio for asking for some promotiont! He said he wanted a link, but I think we will just do a little better then just a link, cause that is what we usually do. Anyway... this is from them! 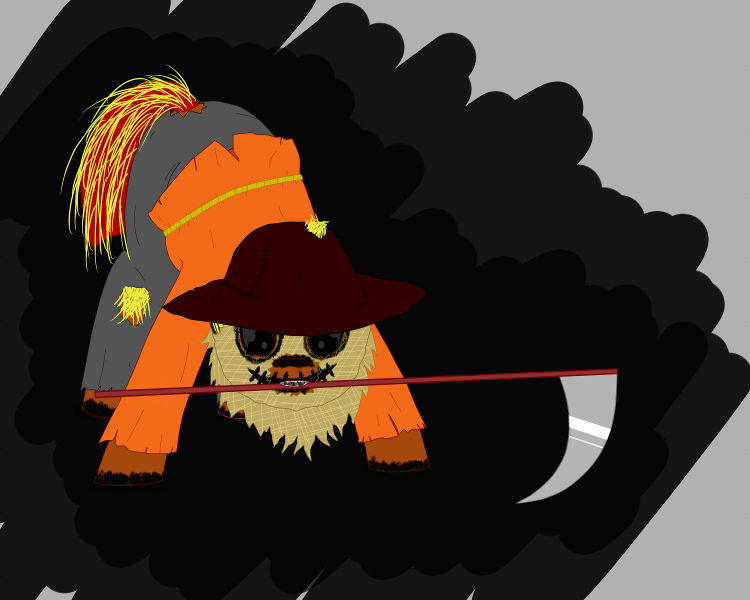 Fillydelphia Radio (Not connected in any way to your blog of the same name), a pony-based internet radio stream created in early December, 2011. Say hi to Judd West and their DJ for us! Ponies will find invitations at their doors, in their mail boxes or slid under their doors that read this when they're opend. "You are invited to Kyubi Hart's surpries birthday party at 52nd and Mane at 17:00:00 (chat time) on the 12th of January. You are more then welcome to bring a friend or two or three the more the merrier. All that is asked is that you not talk about the party out loud or to a pink pegasus wearing a gold necklace with a gemstone in the center that is likely to hug or glomp you on sight because its her surpries party. The party is casual and it is your choise whether you come or not." A bundle of papers have arrived on the town notice board, this time, there are many, all of different handwriting, but all carrying the same seal. It seems there was a problem in the letter chain and they all ended up being delivered at the same time. There are several, if not many, though it appears some may have been lost in transit. However, somepony has gone through the trouble to put them in proper order using their post date. How thoughtful.